With so many options in New York City for your campers summer, why choose to go to camp? There are many answers but to leave the city and explore the great outdoors can be one of the greatest gifts you can give your child. Unplugging from the computer, cell phone, and tv will give your camper the opportunity to make friends and enjoy the great outdoors. Camp Quinebarge has provided New York Campers a getaway from their city life every summer since 1936. 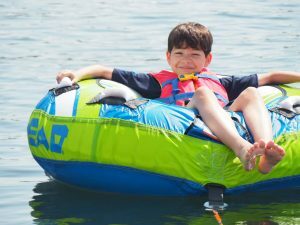 Enjoying the New Hampshire mountains, being unplugged, and campers choosing their own schedule is what makes Camp Quinebarge the best camp for New York Families. Quinebarge is technology free. Campers leave behind their cell phones and all other electronics and engage with one another, the outdoors and the world around them. The benefits of unplugging for several weeks are incredible and with our active program kids don’t miss them (seriously!). One of the greatest advantages of Quinebarge is that your camper will choose their schedule. 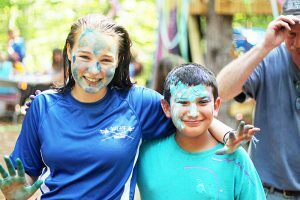 We want your campers experience to be one that they never forget, and that means selecting their weekly schedule from among .